Page Updated:- Tuesday, 01 January, 2019. Above photo kindly sent and taken by John Fagg in the 1980s. From the Dover Express and East Kent News, Friday, 19 March, 1937. 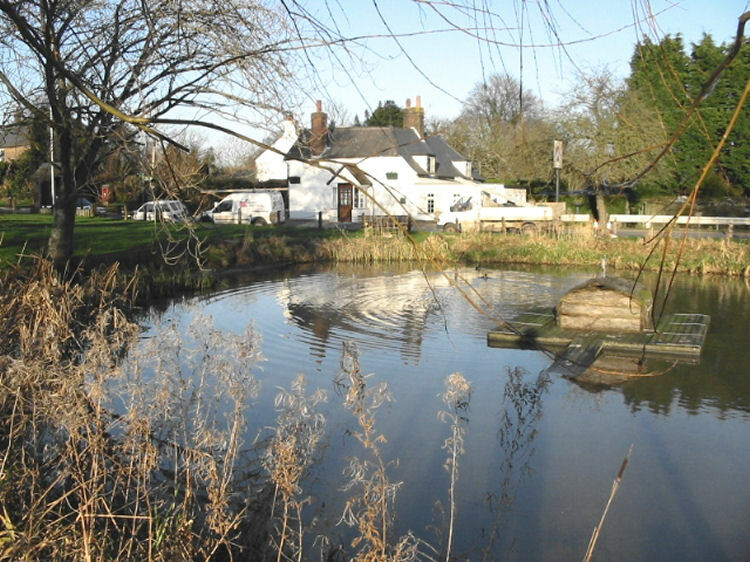 On Thursday night last week the pond at Coldred Green was so full that the water was across the road by the public house. By Friday morning the road was comparatively clear. 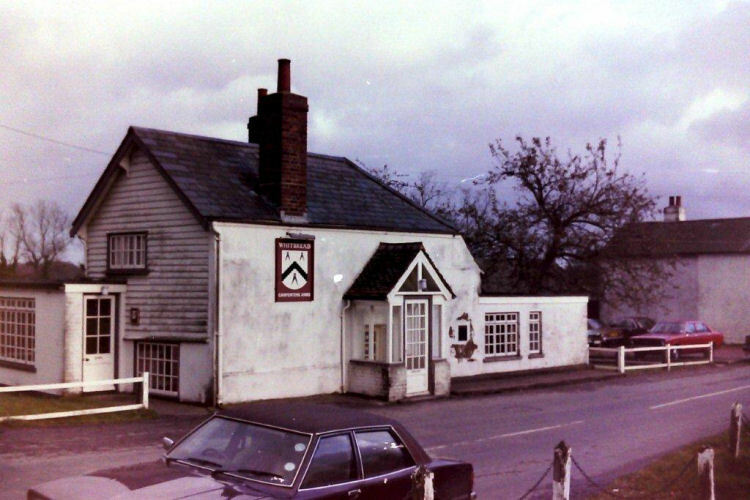 Above photo of Carpenter's Arms at Coldred taken February 1994. All photos taken by Paul Skelton 27 October 2007. Above sign left, August 1992. Sign right, 27 October 2007. With thanks from Brian Curtis www.innsignsociety.com. Photo taken in 2013 from http://www.flickr.com by Jelltex. Showing licensee Colin Fagg. 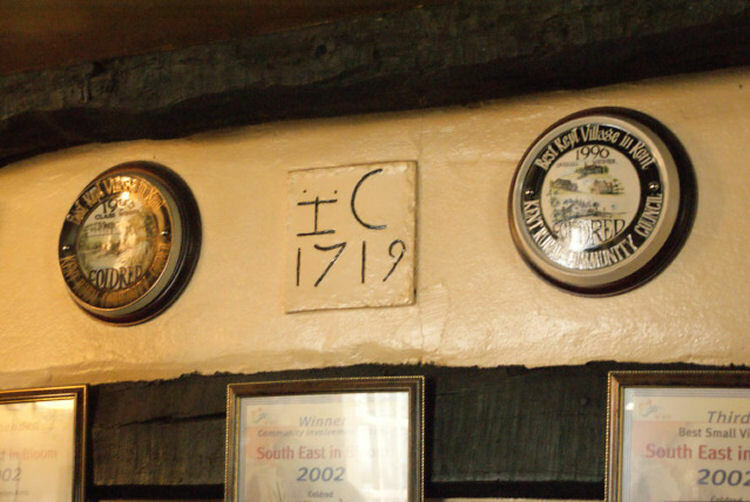 According to the mason's mark above the fireplace in the public bar, the building dates back to 1719. From the Kentish Mercury, Gravesend Journal & Greenwich Gazette, 22 August 1840. A Spree Among The Butchers. From the Kentish Chronicle 16 September 1865. Thursday.—Renewal of Public House Licenses. This was the general licensing meeting, and authority was granted for the renewal of the licenses of all existing public houses. 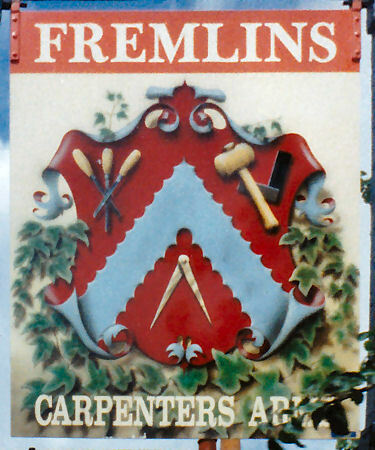 Mr. John S. Fox, obtained an authority for a spirit license for the “Carpenter's Arms,” Coldred. Dover Express 03 September 1909. Mr. Alfred Parker, of the "Carpenter's Arms," Coldred, was granted an extension till 11 p.m. on the 25th September, for a harvest supper. From the Dover Express and East Kent News, Friday, 13 October, 1922. Price 1½d. 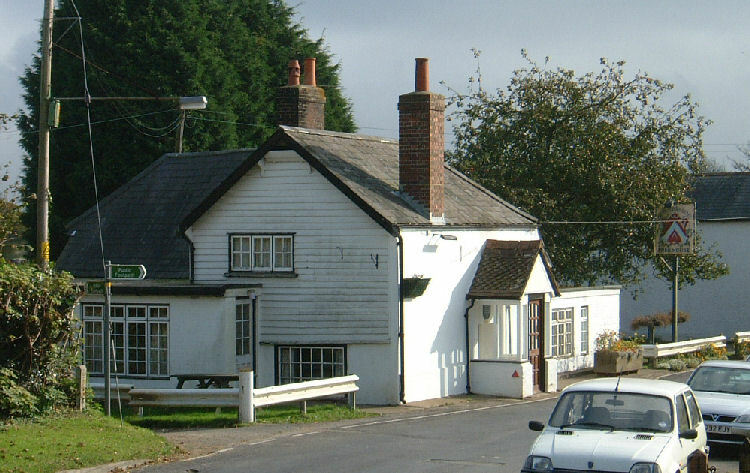 An inquest was held at the “Carpenter's” Arms,” Coldred, on Saturday afternoon by the East Kent Coroner (Mr. Rutley Mowll), respecting the death of James Matcham, who was found dead in bed. 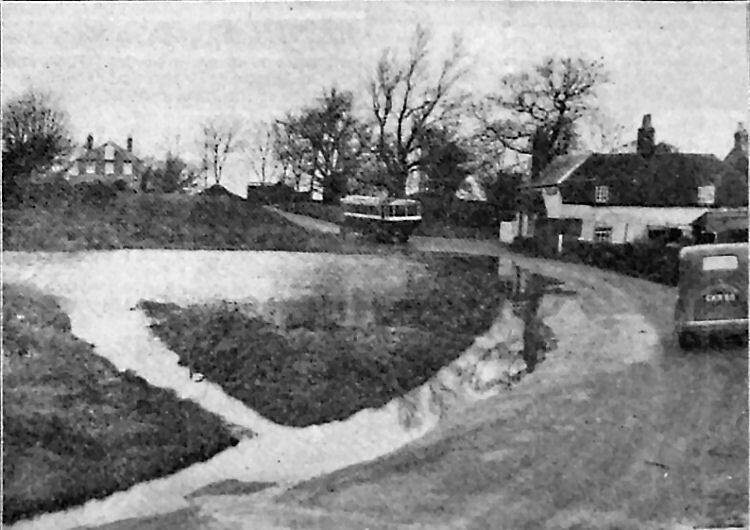 Marian Jane Matcham, of Lower Herronden, Eastry, a widow, said that the deceased was her brother-in-law, and lived at Parsonage Cottages, Coldred. He was a farm labourer, and his age was 67 years. He was a widower without children. Miss Clara Smith said that she had acted as the deceased's housekeeper for two years. The deceased went to work regularly up till Wednesday, October 4th, with Mr. Dudley Richards. On that day he came home and had his tea, and afterwards smoked his pipe as usual, and she read the paper to him. He had some supper and went to bed at about 8.30. Witness on going down to light the fire next morning, called him, but got no reply. She then made some tea, and as the deceased did not come downstairs, she went up and knocked at his door, but as she got no reply she went in and found the deceased lying in bed on his side. He was dead, and she ran downstairs and called in the neighbour. The deceased had not shown the slightest symptom of ill-health. Dr. G. E. Bellamy said that he made a post mortem examination of the deceased, and found that the heart was athermanous. Death was due to natural causes. The Jury, of whom Mr. W. Gosby was foreman, returned a verdict of death from natural causes. The funeral took place at Coldred on Monday, the Rev. H. Sausmarez-Smith, Rector of Coldred and Waldershare officiating. The mourners present were Mrs. Matcham (sister-in-law) Miss Smith (housekeeper) and Mr. Matcham (nephew). A wreath was sent from Mr. and Mrs. D. Richards, the deceased's employer. The funeral arrangements were carried out by Mr. W. Gosby, of Coldred. 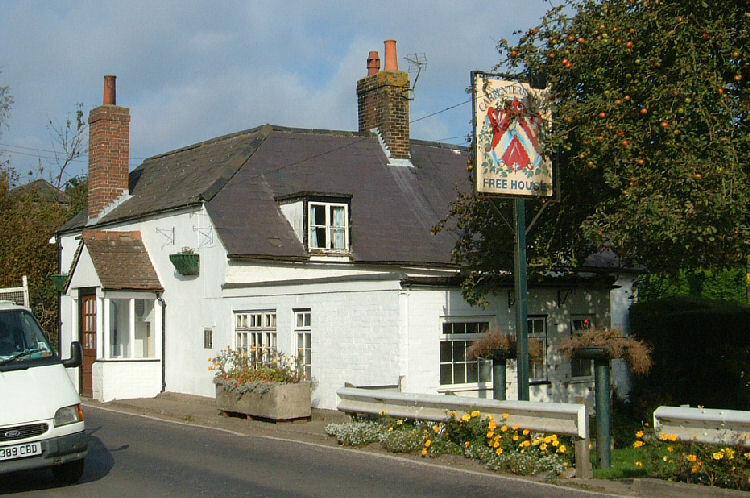 The "Carpenter's Arms," Coldred was granted permission to open from 10 to 11 p.m. on September 25th for a harvest supper. The Magistrates announced that applications in connection with farm sales till 6 p.m. would not be granted in future - only till 5 p.m.
From the Dover Express, 17 September, 1971. There is a proposal to install a skittle alley at the "Carpenter's Arms" at Coldred. Dover Rural Council is to be asked to grant planning consent. Volunteers who created a quiet haven of horticultural interests have been praised for their efforts and awarded an honour by the Royal Horticultural Society. CoIdred picked up the silver award in the small village category at the RHS Britain in Bloom Awards. hosted by TV gardener and presenter RacheI De Thame. The ceremony at the Fairmont Hotel St Andrews, Scotland, was attended by a record-breaking 470 community and gardening champions. CoIdred in Bloom co-ordinator Jo Tinkler said: "To begin with CoIdred was a bit daunted about RHS Britain in Bloom, but we always underestimate the results of so many villagers frequently giving a bit of effort, from buying a raffle ticket, to mowing the avenue to Coldred. It adds to a brilliant environment and community. As with South and South East in Bloom, the judging process is really encouraging and useful as it brings new ideas and gives us a perspective of CoIdred from a wider world." 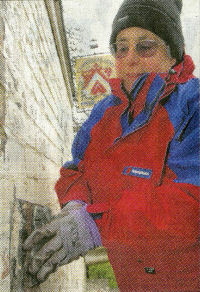 Ms Tinkler said the community spirit for gardening began when the Best Kept Village competition was held in the 1990s. Now, with a population of about 120, regular fundraising events are held, work parties organised and a team of volunteers are keen to improve their outside spaces. She added; "Coldred is a special place, full of very special people who enjoy rolling up their sleeves and getting on with doing things. "There's no whingeing and waiting for things to happen! We wash our road signs and bollards, have an autumn blitz of hedges, and spring clean the church. Every little helps." RHS Britain in Bloom UK judging panel chairman Roger Burnett led a team of 12 RHS judges who toured the UK in August, visiting the 76 finalists, nominated from more than 1,000 communities. The judges assessed horticultural achievement, community participation and environmental responsibility. VILLAGERS in Coldred have helped to brighten up the Carpenters Arms, ready for a two-day centenary event starting tomorrow (Friday) and the Britain in Bloom competition in the summer. 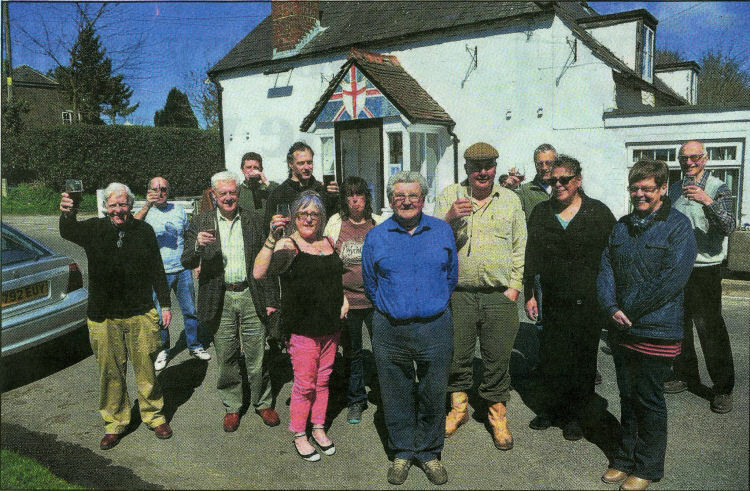 Some of the members of the working party who helped smarten up the "Carpenters Arms" pub, including landlord Colin Fagg, second left. It is 100 years since the Fagg family took over the pub, and the anniversary will be marked with the centenary beer festival, between noon and 11pm on Friday and Saturday. Coldred in Bloom co-ordinator Jo Tinkler said: “The trouble with a community pub that opens without fail for the community and keeps prices as low as possible is that it doesn't leave Colin Fagg a great deal of time or money to do everything. 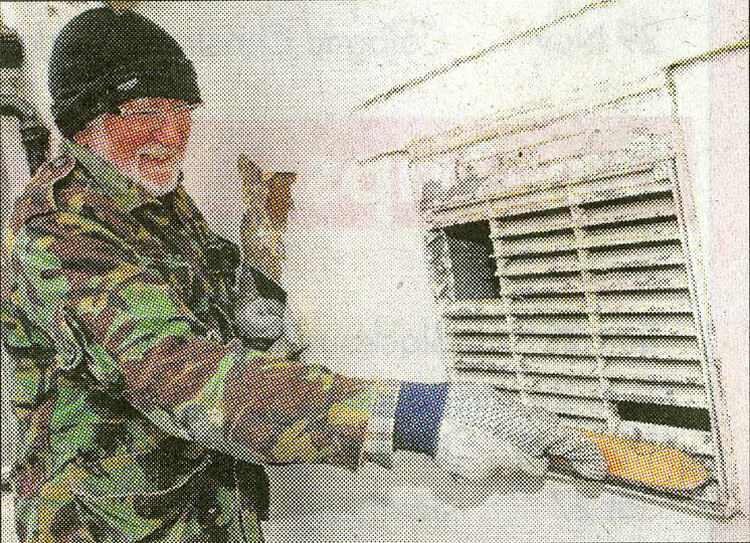 Ken Mooreland lends a hand. 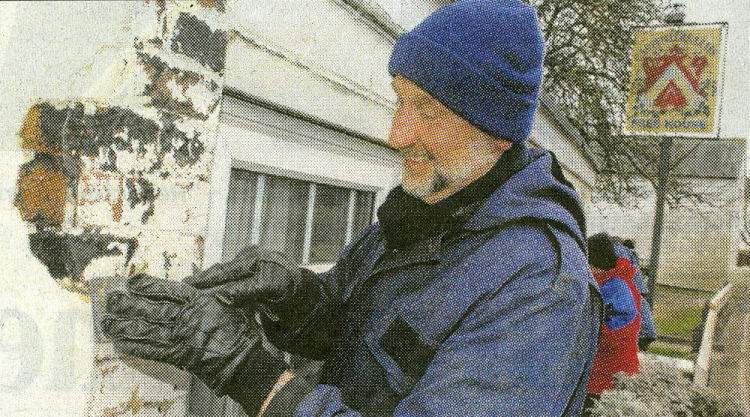 Ray Newsam wields his wire brush at the "Carpenters Arms." The flowers the community are planting will be baby blues and pinks in honour of the royal baby's birth in June. 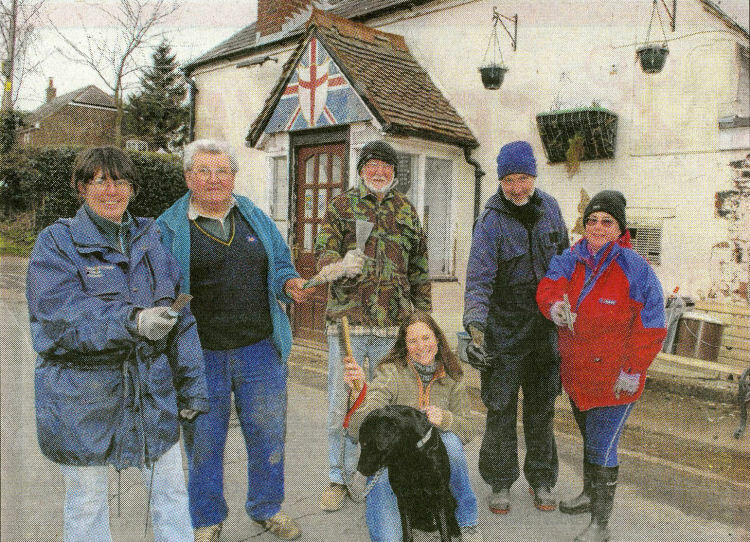 Villagers met at the "Carpenters Arms" to help Mr Fagg, the owner of the pub, to paint the front of the building and give it a clean-up ready for the events. 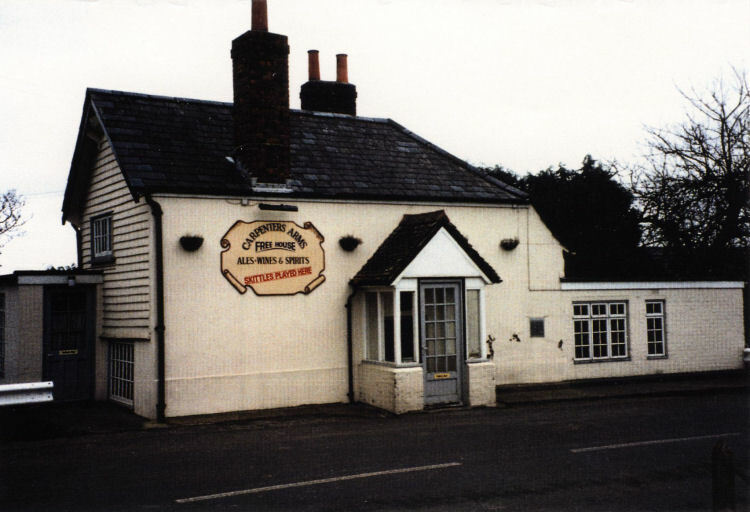 The pub is believed to date back to 1716 and the Fagg family has owned the pub since 1913. Daphne Fagg, who recently died at the age of 92, owned the pub for 40 years. 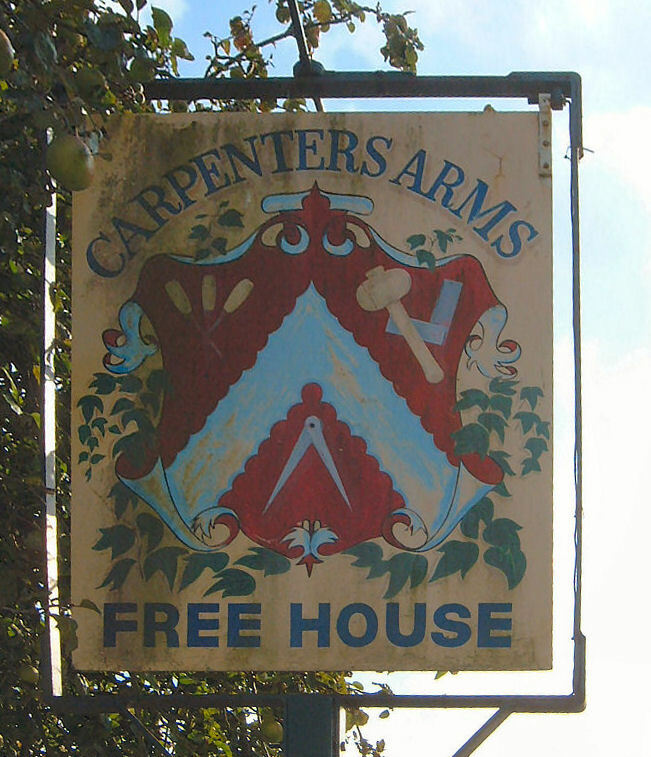 "Carpenters Arms" is part of the Deal, Dover, Sandwich and district branch of the Camra group - Campaign for Real Ale - which aims to protect the traditions of pubs and ale. 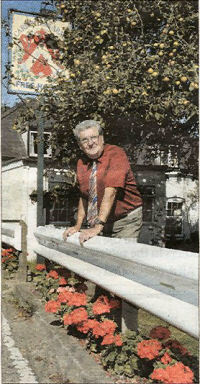 COLIN Fagg staged centenary celebrations at the weekend for a pub which has always been run by a member of his family. 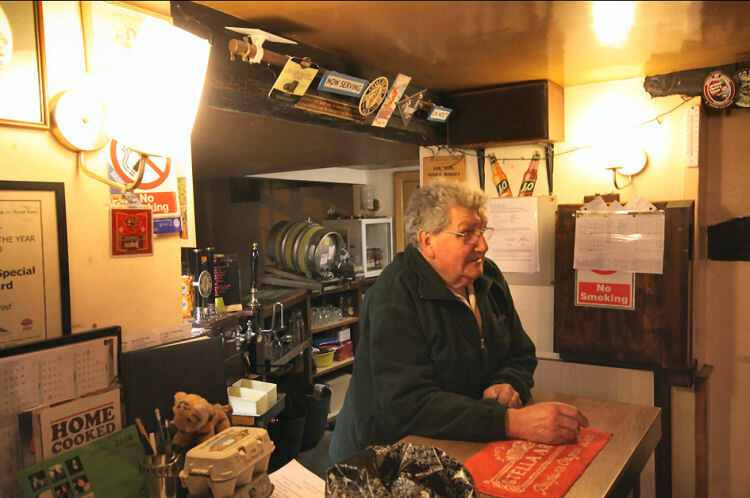 The "Carpenters Arms" in Coldred is a traditional pub in all senses, sitting at the heart of a rural community and offering only crisps and peanuts for food.